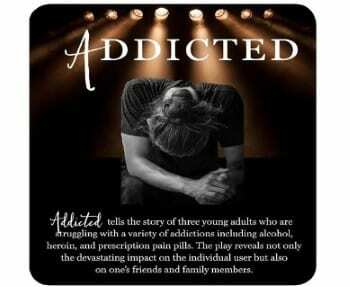 The Perry Hall High School PTSA will be sponsoring a free play on the horrors of addiction later this month. “Addicted” tells the story of three young adults who are struggling with a variety of addictions, including alcohol, heroin, and prescription pain pills. The show will take place on Saturday, April 21, 2018 at 7 p.m. at Perry Hall High School. The play features students and alumni of the North Harford High School Drama Club and community members. Perry Hall High School is located at 4601 Ebenezer Road in Perry Hall/Nottingham (21236).